Are you fond of bringing home a dog which you want to care for? If yes, then you should start knowing the different breeds of dogs to get an ideal one. There are some dogs that are best for family while others are for work. Since there are various breeds of dogs, you probably don’t know what to choose. Instead of worrying about this, you should choose the one that is easy to care for. Understanding the different breeds of dogs is not a complicated task. Depending on your choice, you can get more details through asking an expert or your trusted friends. With your knowledge about the dog’s breeds, you can decide which of them can meet your needs. What are the Best Family Dog Breeds? Italian Greyhound – It is known due to its loyal and loving attributes. This dog weighs less than fifteen pounds. With its small size, you can easily carry this dog anywhere you want. It is also easy to groom and take care for. Havanese – This breed is considered as a classic lap-dog. It comes from the line of Maltese and Bichon Frise. Like Italian Greyhound, it is also well-behaved, quiet, loyal and submissive. Most homeowners love this dog breed due to its hypo-allergenic and easy to train qualities. This breed weighs eight to thirteen pounds and can live for almost fourteen years. Cockapoo – This is one of the most favorite dog breeds of most peoples. This dog is quite small and athletic. It is also hypo-allergenic and never shed. It weighs between six to twenty-five pounds. Its life expectancy also lasts up to fourteen years. Keeshonden – This breed is energetic and lively as compared to other dogs. It weighs thirty to sixty pounds and can only live about thirteen years. This dog is perfect for both children and adults. Unlike others, this breed is also easy to train and care for. The aforementioned dog breeds are only some of the most well-known dogs that most homeowners love to have. If you wish to get more breeds of dogs, you can simply visit your preferred shop online. Then, pick the best one that suits your preferences. Examine the Dog – The best way to know the breed of your preferred dog is to examine its characteristics. At first, you need to check its color and hair length. You also need to examine its posture and behavior. Know the Energy Level of the Dog – The dog breeds vary depending on their level of energy. Some breeds are playful while others are not. You also need to observe whether your preferred pet is aggressive or friendly to strangers. It is also best to identify how they react to other animals. Focus on Its Color – Some dogs have mixed colors while others do not. 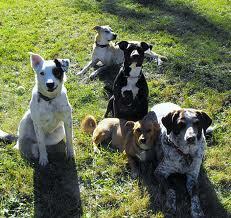 There are also some breeds that have a combination of black, tan, white and brown spots. Sometimes, dogs have also red colors. Through knowing their colors, you can easily say what they are. Quiet or Not – There are some dogs that are very quiet. Some of them don’t have any specific vocal cues. Another way on how to check the dog’s breed is through checking their tails. This can help you check if your preferred breed is perfect for your needs or not. Aside from the above mentioned breeds, you can determine the breeds of any dog if you keep on jotting down all your observations. Using your observations, you can easily figure out the exact breed of your desired dogs. Just take note that a dog can have a mix breed. If you don’t know how to exact your dog, you can visit your trusted veterinarian. Then, you can also ask them some tips on how to discipline your dogs. With your ideas about dog breeds, it would be easy for you to choose the right one. After getting the best one, you can have a chance to surprise your kids. You can bring the best dogs at home and have enough time to have an ultimate bonding with your family. Are you longing to have the best breeds of dog? Then, you can have it at hand. Just know which dog is best for you and for the whole family. In order for the dog to stay within the area of the owner’s house, having a dog fence is beneficial. To provide your pet with dog fence, it can avoid the dog for being noisy. Another thing is that your dog will avoid accident that is like to happen if it continues to go everywhere. There are stores that you can visit that offer materials for your dog fence. You can visit them personally however, you can also go shopping online. There are factors to be considered in buying a dog fence. It is a must to know the attitude of your pet dog before buying a electric dog fence. There are different types or breed of dogs. The dog fence that you will design should fit to the interest and behavior of the dog. Make sure to take into account the height of the fence and the size of the dog. If your pet dog is small, the height of the fence should not that tall while if your dog is big, it is necessary to build tall dog fence so that your dog will not escape from the invisible dog fence amazon. Consider also the age of your dog. If you decided to have a dog fence and your dog is still young, see to it that the dog fence that you will build is wide and tall enough so that as the age of the dog increases and the size changes, the dog fence can accommodate the dog. Take into account the practice of your dog. 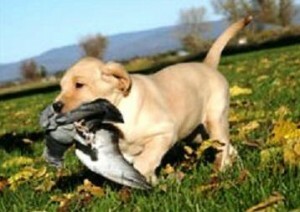 Being the owner, it is your duty to know what the habits of your dog are. Consider that you made wooden fence and you are not aware that one of the habits of your dog is to chew woods. The fence that you have made will be useless right? So, know the habit of your dog. Beware of the tendency that your dog can dig the ground of the fence. Make sure to bury the portion of the fence to avoid the dog from digging the fence. There are dog fence wire that can be used in order for the dog not to dig. If they continue to dig even if there are wires, the dog might get hurt or be in pain. Think before you do an action on certain things. You must take into consideration on the mentioned factors before buying a dog fence to avoid waste of money, time effort and energy. Portable means that it can be removed and can be placed in any area wherein your dogs are comfortable with. Whether you placed the portable fence indoor or outdoor, you can be assured that your dogs are safe and protected from any harm. Fencing may be temporary or permanent. If your family is moving and you are worried because your dog may not feel comfortable with the new place, it is a good option to consider a portable fence because it offers something that you won’t get from other products out there. Before choosing a fence system consider do it yourself or professional installation the guys at Invisible fence can install a nice system for you and train your dogs at the same time. If you are still not sure watch this video, very insightful information. Picket Fencing: There are two types of picket fencing. It may be wood or vinyl fencing that may accommodate small, older, kind and calm dogs. But, for aggressive breed of dogs that are popular to be powerful and full of energy may damage the fence by pushing it hard. Most of these fences are already pre-fabricated and can be installed by making some posts and bases. With the use of hammer and nails, the installation can be done easily. This may become temporary and permanent. Be sure not to leave any space where small dogs may escape. Plastic Fencing: Plastic fences are flexible, lightweight and can be installed easily. Though it needs to have an upright structure that is made in a piece of wood, vinyl or metal, attach it to building and connect it by using rope. This will ensure that the fence is strong enough for dogs not to escape. Mesh Fencing: There are tiny holes in the ground that will be the base of fence and to support the divisions or sections of the fence. The black polyester mesh purpose is to prevent the dog to climb over the fence. The mesh fencing is powerful, durable, and transparent and can be easily installed and at the same time to uninstall when you need to use the space. Wire mesh is lightweight than chain link and has no sharp edges which will ensure that dogs will not be injured. Event Fencing: This is done to specific event and crowd fencing. This is a temporary enclosure for big dogs. It can also be installed easily and remain to be upright without any support. Though this type of fence is costly and difficult to find because it is for commercial use during events like festivals and sports. The best thing is to look for event management that you can rent it for a day or weeks instead of buying. You can also check online for any bargain sale and save money. Invisible fence: This is the most popular to those pet owners who don’t want to spend more money especially is they are only renting the place. Wires are not anymore installed, but they are wireless which uses radio waves at specified area when there is a base inside the home. It can also be used to as wide as 25 acres of land covering a wide area of land. 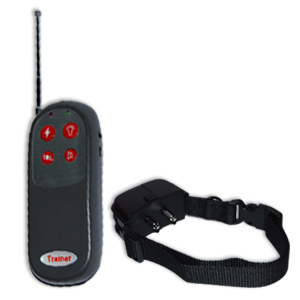 The dog uses collar that is turned on and transmit signal. There is a gentle electrical shock to prevent the dog from coming out. Though at times there may be fluctuations of the signal which may cause the equipment not to function properly. It is then advisable to take check from time to time if there are signal that may overlap and cause failure for the dogs to hear the sounds. This is one way of training the dogs by listening and feeling. Though the electrical shock will not harm the dogs, it will surely be felt and once they are trained. Dogs will become more careful and cautious. It is a good protection for other predator that may enter your area. It can be easily installed and removed. If you are changing location, you will not worry because it will only take a short while removing and installing and vice versa. You can choose whether your location is small or covers wide area. You will not worry because it can cover to as wide as 25 acres of land and even small area. It can be indoor or outdoor. You can install it all on your own or seek the experts especially if you are installing wires underground. It is important that it be installed properly to prevent from damage to other property. Flexibility: Portable fencing are adjustable to suit the area. Durable: That this fencing materials will ensure both the safety of animals as well the humans. That proper installation will ensure usability of the fence over time. It will ensure that properties will not be damaged when removed. Select the best portable fencing for your dogs that will suit your location and area. Purchase the best option you have that also suit your budget. With portable fencing for dogs, you can enjoy the company of your dogs without messing around and worrying about their safety. Bringing a dog into your life is a big decision, and part of it is being prepared to look after their health. Understanding dog health, including common illnesses and afflictions will go a long way towards best caring for your canine. The Internet is full of websites offering advice on dog health; but just like looking up human diseases, tread carefully and consider what you read. Not all websites are created equally, and the source should always be taken into account. If your dog is acting in a manner out of the ordinary, how do you know when it’s acceptable to wait it out or treat him at home compared to when it’s time to call the vet? Typically, if your dog is feverish, losing balance, refusing to eat or drink water or is vomiting, it is imperative you seek veterinary care immediately. Chances are, the affliction could be minor; however, these can all symptoms of more serious health conditions that can’t be identified without visiting the vet. Don’t risk it! Quality flea prevention medication or treatments for dogs already suffering with flea infestation can be purchased from the veterinarian, who will recommend a specific dosage based on your dog’s age and weight. Many flea treatments available from the vet also treat other concerns such as worms and ticks. Shedding and tear stains can be addressed with the vet as well, in the event that they’re excessive. This will give you peace of mind knowing they’re not signs of a health disorder. Most likely, though, shedding and tear stains can be treated by a qualified dog groomer who will also provide you with advice on how to best manage brushing and cleaning between visits. Another aspect of dog health that’s imperative to consider is the fact that some breeds are more susceptible to certain conditions than others. If you haven’t brought a dog into your home yet, first research the breeds you like and be knowledgeable about the health issues common to them. That may help you make your decision. If you already have a canine companion, it’s never too late to learn about what health problems you may have to address in the future. Knowing ahead of time will allow you to provide preventative care or spot the signs if they do occur. While all breeds differ, dogs are generally robust pets. They make terrific companions and looking after their health as you would that of any family member means you’ll get to enjoy their friendship for years to come. Bowser my dog got me some ar500 targets from a quality website because he enjoys our time shooting guns and hunting together. I’ve become quite the marksman since I started practicing with Bowser.